Q: I keep seeing pop ups for Adobe Reader, Adobe Flash Player, and Java updates on my computer. What should I do? Q: When I try to access to the internet, I get a message that I am not connected or that the page cannot be displayed. How do I connect? Q: I can’t print! How can I fix this? As a first step, always try restarting your computer. A simple reboot often can solve many problems. If that doesn’t help, please try the following step-by-step solutions to solve your problem, or call Computer Central for remote or onsite help at 508-829-0000. You should download or update the Adobe Reader as needed, because many .pdf documents require this update to open properly. Just click on the free download buttons and follow the instructions to update the software as needed. Tip: When installing any of these updates you should uncheck any boxes that pop up with optional offers. The offers will download unneeded software such as the Ask.com Toolbar and the McAfee Security Scanner, which can interfere with other programs. Q: When I try to access to the internet, I get a message that I am not connected, or that the page cannot be displayed. How do I connect? Diagnose the problem: First check the lower right-hand corner of your screen for a staircase-shaped icon. If it appears in dark gray and is covered with a red “X” or a yellow triangular shield with an exclamation point on it, your internet connection is blocked or off. Next, click on the troubleshooting link in the message you received when you tried to access the internet. This link can provide clues as to why your internet connection is blocked. Switch on your laptop’s wireless connection button: If you use a laptop your internet connection can be blocked because the wireless connection button on the laptop is switched off. This can happen by accident as you open and close the machine, or move the laptop from place to place. Check the sides and front or even the back of the laptop for a small button with an antenna icon on it. Switch this button to the “On” position, and try to connect to the internet again. You also can reconnect to the internet by pressing the wireless key on the laptop keyboard. It’s usually an F key (F1, F2, etc.) at the top of the keyboard with an icon that looks like an antenna or a signal tower on it. If that doesn’t work, then try pressing and holding down the FN key in lower left-hand corner of the keyboard while at the same time pressing the F key with the antenna or signal tower pictured on it. Reset or “reboot” your modem and router: When your internet connection is not working, often it’s because your DSL or cable modem (MOH-deh-m) or your router (r-OW-ter) needs to be reset or plugged in properly. DSL and cable modems, as well as routers, need to be plugged into electrical outlets. First, check to be sure that your devices are firmly plugged in to an electrical outlet. If not, plug the devices into an outlet. Check the ON/OFF switches and switch them to ON if needed. All of the device lights should flash on in a minute or two. Check your internet connection again after all of the lights flash on. Tip: Modems and routers are small boxes, usually black and sometimes with an antenna icon pictured on them. These devices connect your computer to the internet, and often have ON/OFF switches on the top or at the sides. Still no internet connection? If the modem and router are switched on and plugged in with all of their lights on, but your internet connection still is down, you may need to reset or “reboot” your modem and router. If you have a DSL modem, which has flashing lights across the top, your phone line will be connected to it. If you have a cable modem, which also has lights on it, a thicker cable line instead of a phone line will be connected to it. The cable line also may be connected to a router, which looks like a black box, too. Some common router brand names are Netgear, Linksys, and Belkin. Simply switch off the modem and router or unplug them from the outlet for a minute, then turn them back on or plug them in again. In a few minutes the lights on the modem and router should come back on and you can check to see whether you have an internet connection. Tip: You also can gently disconnect the phone or cable line from the back of the modem and router for a minute, and then reconnect the lines to reset the devices. Now call your internet service provider: If after working through these steps you still have no internet connection and your electricity is on, call your DSL or cable internet service provider directly for help. There could be a general DSL, or cable company outage in your area. Your provider can let you know and can give you an estimate of how long it will take to restore service. Q: I can’t print! What should I do? Next, check the printer name showing at the top of your “print” screen. If you have more than one printer software (also called a printer “driver”) installed in your computer, your print screen may be set to the wrong printer. You can use the drop down menu by the “printer name” heading to choose the printer currently connected to your computer. Tip: The complete printer brand name, model name, and model number usually are printed on the front or top of your printer (HP Officejet Pro 8610, for example). If you still can’t print, check any pop up error messages or the printer to ensure that you have enough paper loaded into the printer and that the paper is loaded correctly. The printer will not work without enough paper loaded correctly in the paper tray. In addition, if there are any paper jams in the printer these will need to be cleared before you can print. Ink cartridges can be an issue, too. If any ink cartridges in your printer are empty, they will need to be replaced with fresh ink cartridges before you can print again. If you have completed all of these steps but find that you still can’t print, check your internet connection. It may be that your computer connects to your printer through your internet service or wireless network. If your internet connection is down, follow the steps listed above until you can reconnect to the internet, then try printing again. Tip: You may need to reboot your printer and computer after you restore your internet connection before you can print again. Check the print queue: First, look in the lower right-hand corner of your computer screen for a printer icon. If you don’t see the printer icon, try clicking the arrow to the left of the icons you see there to display all of the icons in this corner. If the printer icon is not there, then click the “Start” icon in the left-hand corner of your screen and go to the Control Panel. Next, click “Devices and Printers” in the Control Panel. You should see the printer icon for the printer you use to print your documents. The icon should be checked in green as the selected printer. If not, please click on the tick box to check it and select it as your printer. When your printer is selected, right click on the printer icon, and then click on “See What’s Printing”. This will bring up the “Print Queue”. If there are any documents listed in the queue, click the “Printer” menu in the upper left hand corner of the box, and then click “Cancel All Documents” to clear out the cache. Now, try to print again. Reinstall the printer drivers: If you still can’t print, unplug the printer from the computer and reinstall the Printer Drivers, or printer software packages. If you still have the printer driver (software) disk that came with the printer, insert it into your computer’s disk drive and reinstall the printer software. The software will ask you to choose either a wired or wireless connection for your printer. Simply choose your connection. The software then will prompt you to plug the printer back in to your computer, and it will allow you to print a test page to see if you have a connection between the printer and your computer. When the test page has finished printing, try to print your document again. No disk? If you have an internet connection, go to the printer manufacturer’s website at one of the links listed below and download the latest driver for your computer. There should be a search box in which you can type the printer brand name, model name, and model number (for example, HP Officejet Pro 8610). When you come to your printer’s page, choose the computer operating system you use and download the printer driver and installer for your printer and your operating system, then install the printer driver. The printer driver will ask you whether you connect to your printer through a wired or a wireless connection as it is downloading into your computer. Choose the connection you use for your printer. The software may prompt you to plug the printer back in to your computer. It also should allow you to print a test page to see if you have a connection between your computer and your printer. Try to print your document again. Still need help? 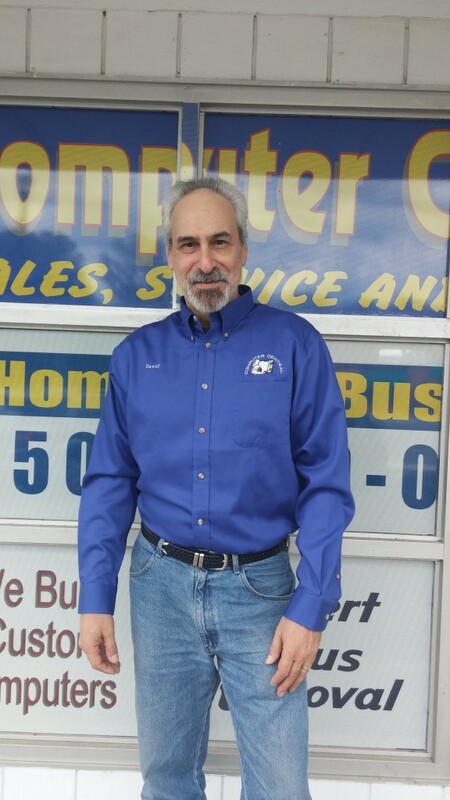 Please give Computer Central a call at (508) 829-0000 for an onsite visit or remote service. We’re the PC Doctors who make house calls!